Another pointless item I'm loving are these cute marble-esque notebooks to feed my stationary addiction and hopefully help me plan some blogging in 2017 - cause y'all know I'm nothing if I'm not sporadic. (Im working on that!) I tend to buy things like this and write absolutely nothing in them...but you can't deny they'd look pretty on your desk. Im not really into the tracksuit trend - probably because I can remember the days of Juicy Couture being all that I wore (Tucked into UGGs, with a Von Dutch cap no less...) but as a superfan of WildFox I can get behind this one. I think it would be perfect for all the traveling that I do, and I adore the lace up hoodie. Wildfox is always SO soft and dreamy, and lasts a really long time. The piece I want the most is ***OF COURSE*** the piece that has sold out - ( keep checking HERE! and tweet me @mimiflys if it comes back into stock!) There's nothing I want more than a hoodie with a unicorns horn on its hood. Pure genius. I love wearing pieces that I could have legitimately worn when I was 10. So thats what I'm hoping to put in my basket this Black Friday weekend. 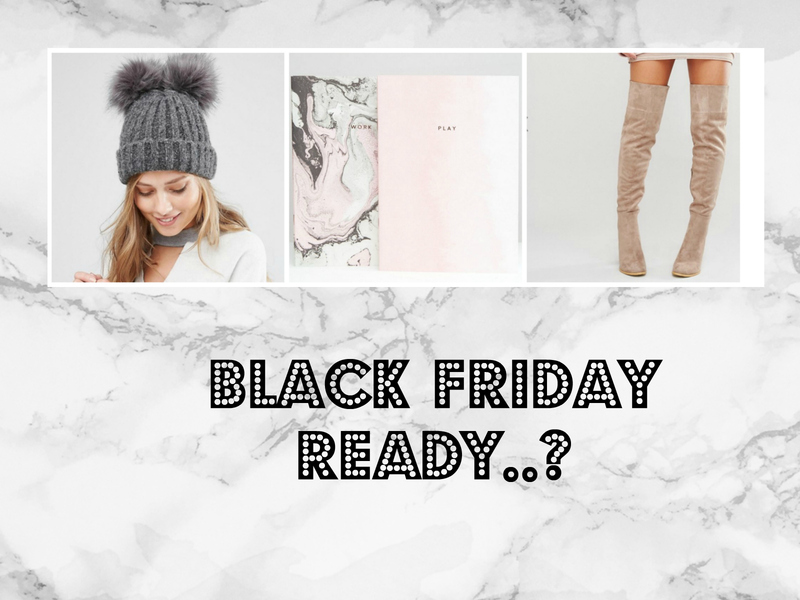 Stay tuned this week as I will be posting the ultimate guide to EVERY Black Friday code that you need for successful shopping. And don't forget - there are app's put there like ShopTagr (You can read my previous review of it Here) that you can use to save the items you want to buy ahead of time and then check out as soon as they go on sale. What will you be buying this Black Friday / Cyber Monday? - Let me know in the comments!